26 September, 2018. It was a Wednesday. In this podcast I cover the essence of Free Will - the central argument most philosophers muddle or sidestep. Making it really simple, the whole subject boils down to one argument, one simple choice. 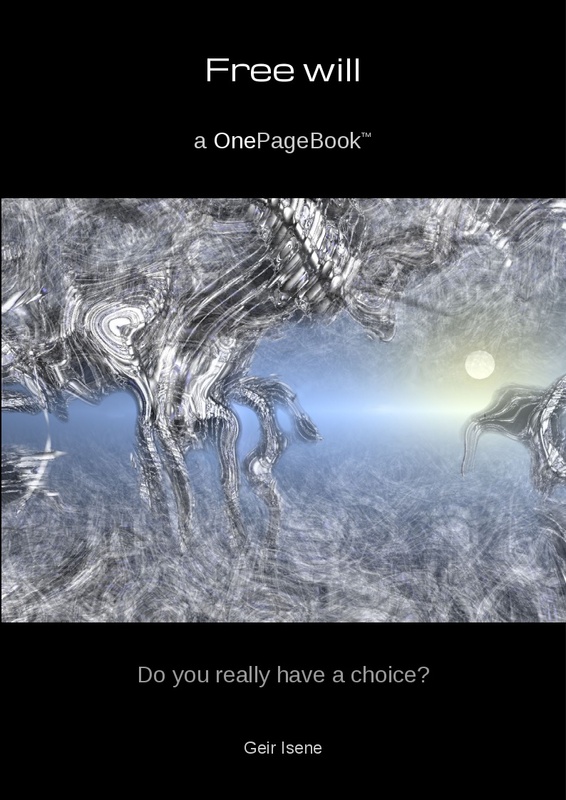 After listening to the podcast, read the OnePageBook titled, “Free will” and the article, “On Will”. Then feel free to pitch in with your ideas on how free will can be proven or disproven with strict logical arguments (or even using mathematical logic).